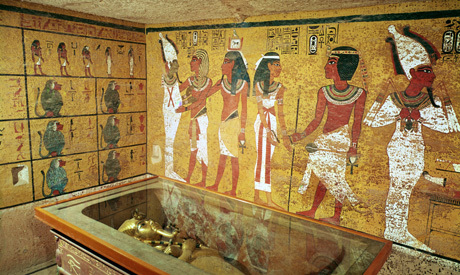 On Thursday, experts from Italy and Egypt began a "decisive" search at the tomb of King Tutankhamun on Luxor’s west bank to reveal if there are any chambers hidden behind its northern and western walls. The search involves utilising ground-penetrating radars to detect the presence of empty spaces or corridors hidden behind the walls of the boy king’s burial chamber. Reeves’ theory was based on his examination of 3D photos of both walks. Former minister of antiquities Mamdouh El-Damati was enthusiastic about the theory and asked reeves to travel to Luxor to prove his hypothesis. Two radar surveys and an infra red examination have since been conducted, but have given inconclusive results. Meanwhile, the infrared researchers asked to re-examine the walls as the environment inside the tomb was not conducive to accurate results. To put an end to such conflicting results, Mohamed Ismail, supervisor-general of the Permanent Committee at the Ministry of Antiquities, told Ahram Online that a third radar survey has begun inside and outside Tutankhamun’s tomb. The survey took place after approval was given by from security authorities, the Permanent Committee and the board of directors of the Supreme Council of Antiquities. “This step was taken according to recommendations suggested at a press conference held last year at the Grand Egyptian Museum to discuss the results of all the scans; the step is a reflection of the Ministry of Antiquities' keenness on ensuring scientific credibility,” Ismail said. Ismail explains that researchers from the Italian University of Turin led by Egyptologist Franco Porcelli are now conducting state-of-the-art, non-invasive "decisive geo-radar measurements" inside the tomb for six days. 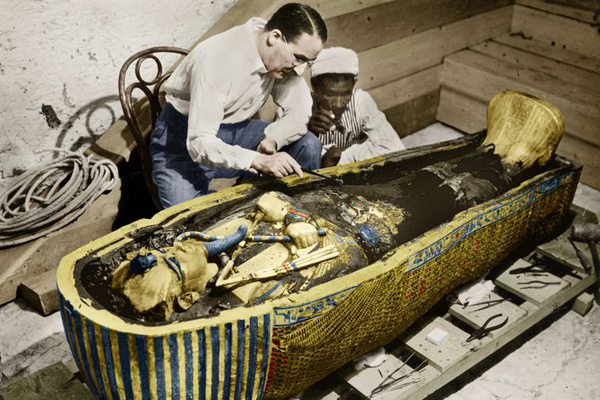 Tutankhamen's tomb, discovered in 1922, was a unique find among the pharaonic tombs in Luxor's Valley of the Kings due to the wealth of its contents. Unlike most of the other tombs, it had not been plundered in ancient times.